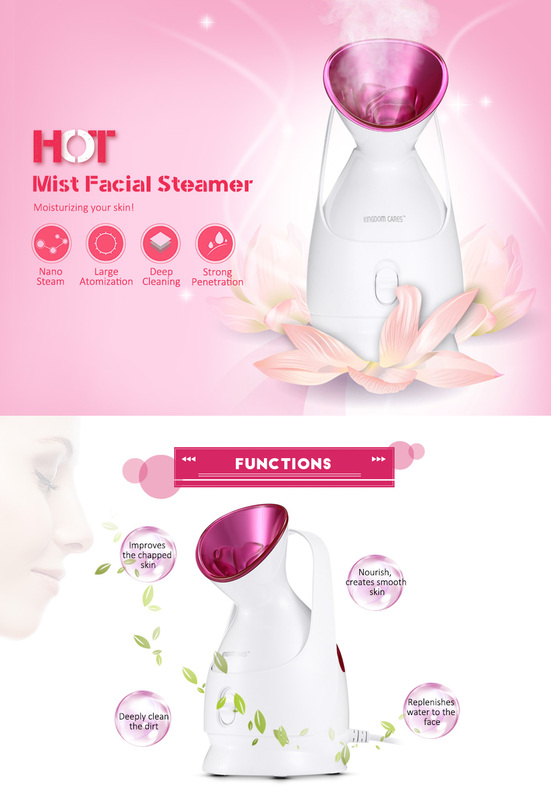 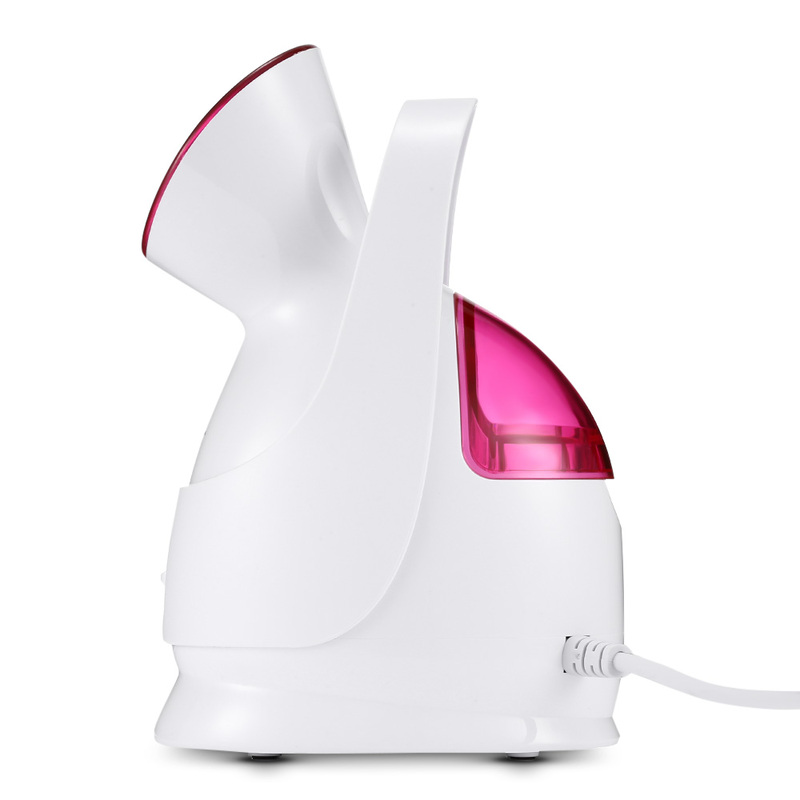 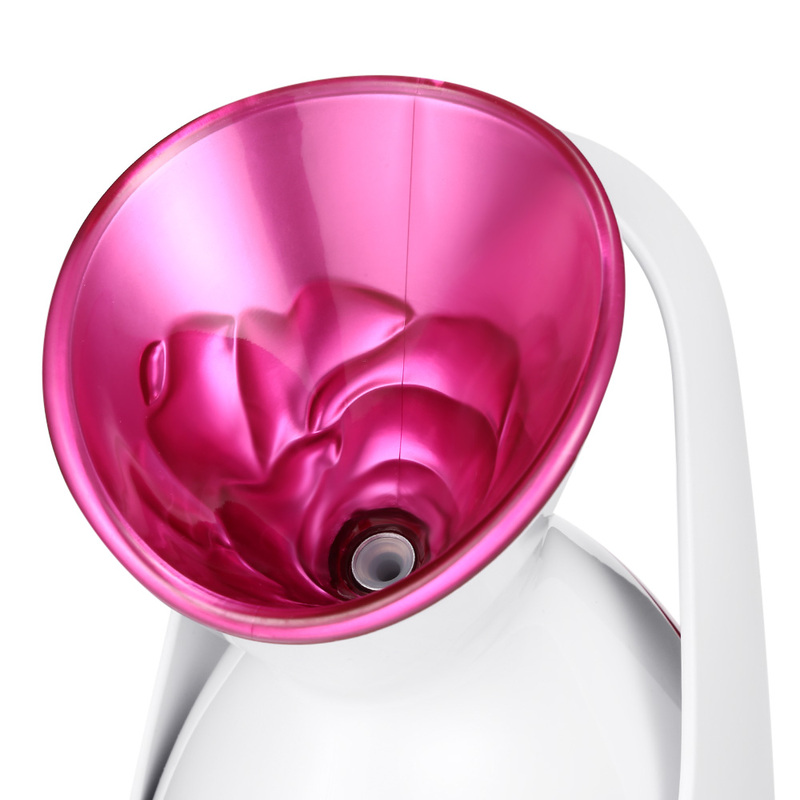 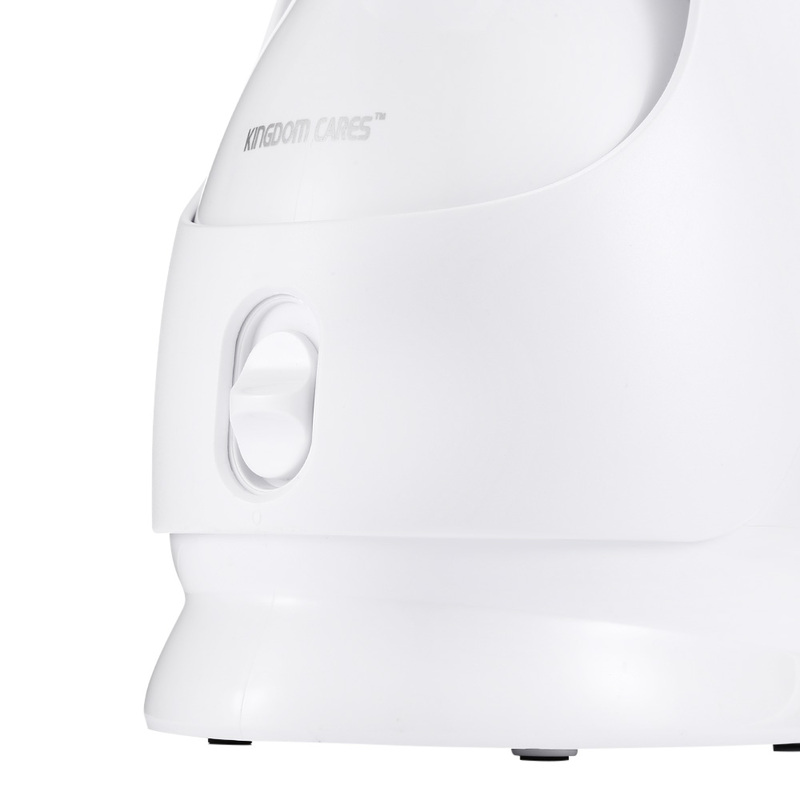 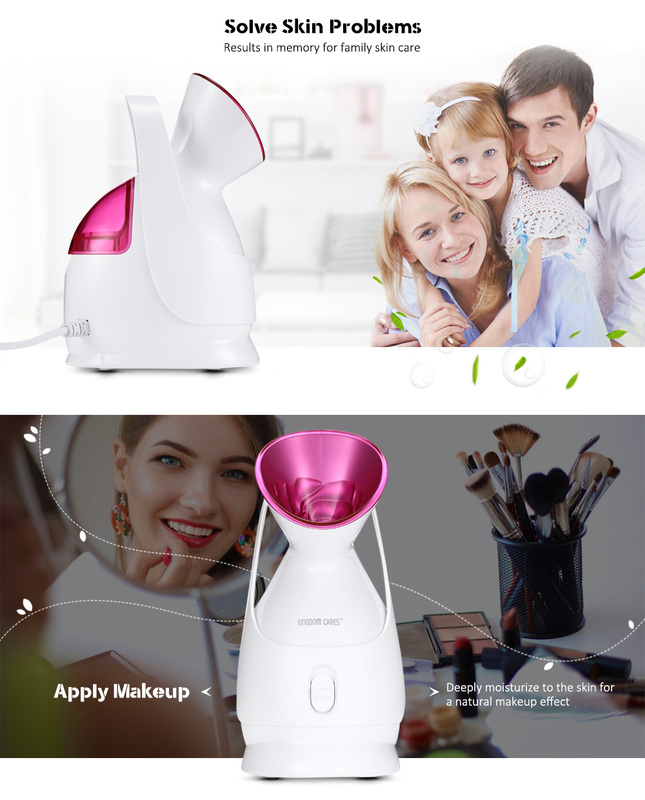 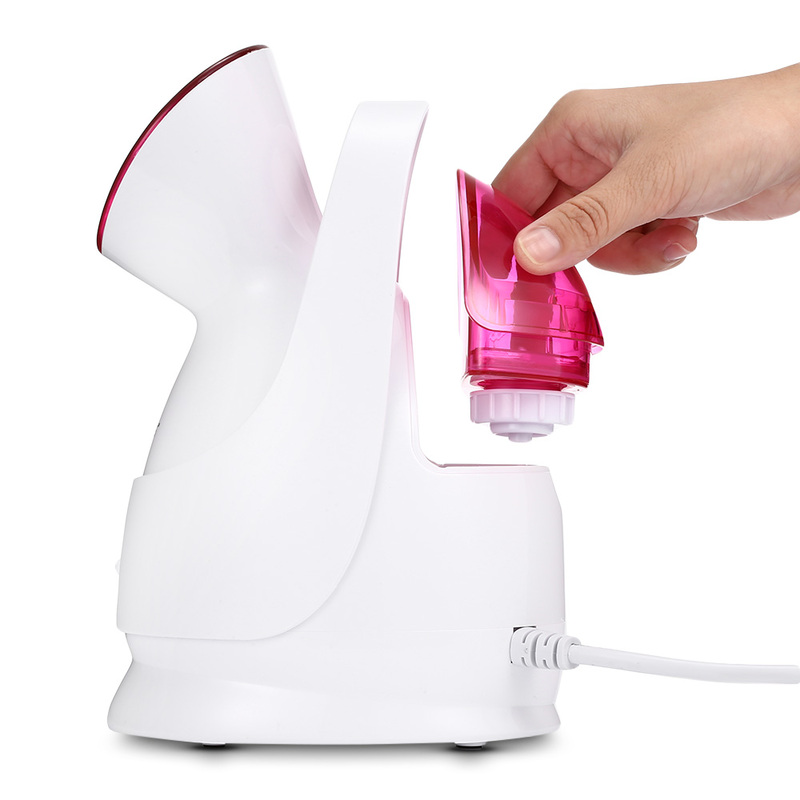 Facial steamer instrument, helping to improve facial ailments and rejuvenate your complexion for tightening your skin! 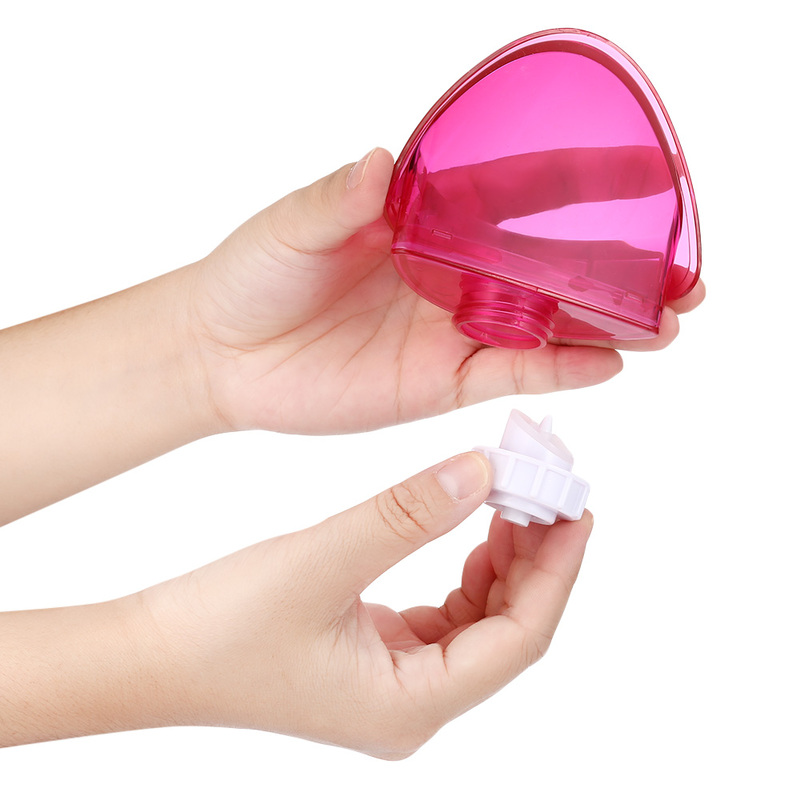 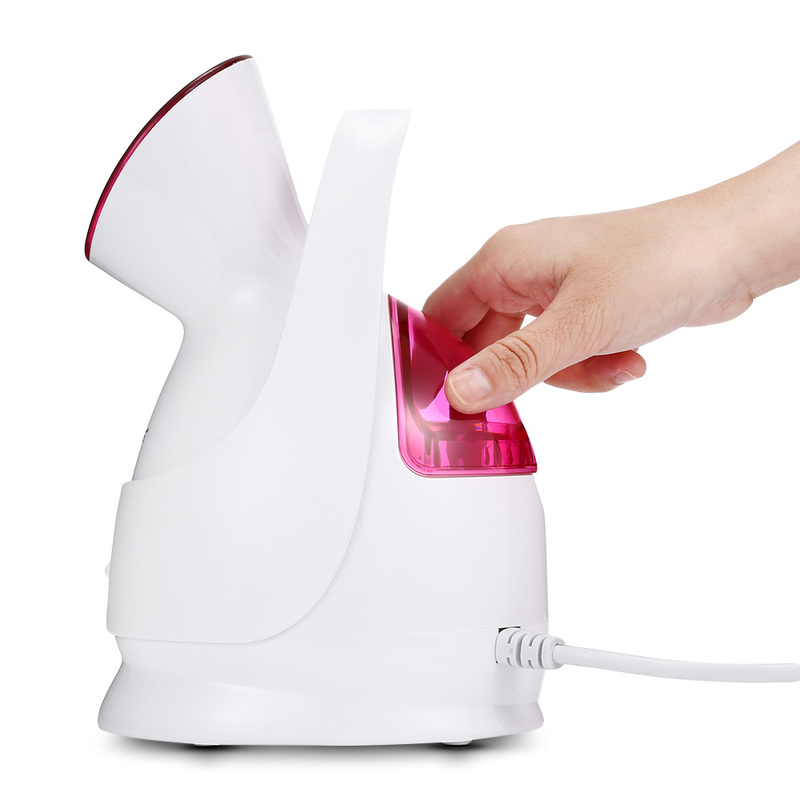 It's an effective way to soften the cuticle, unclogs and improves the nutritional absorbency. 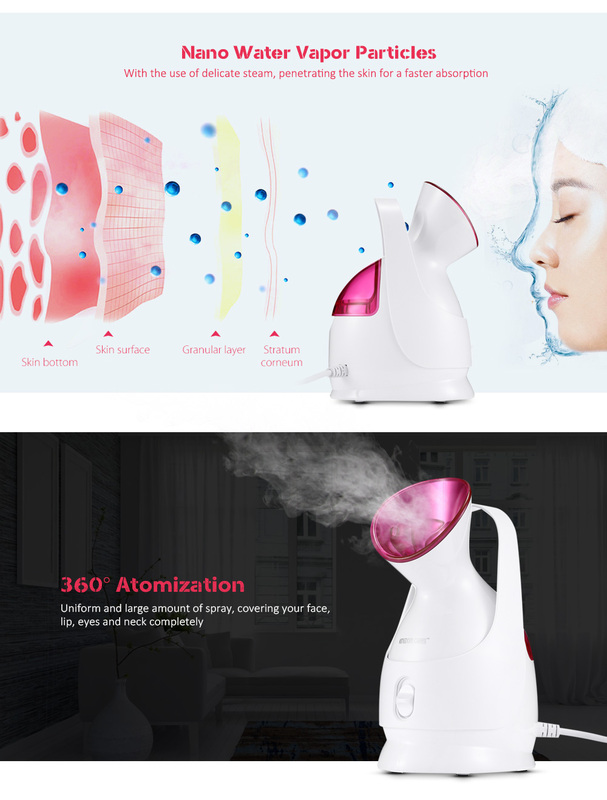 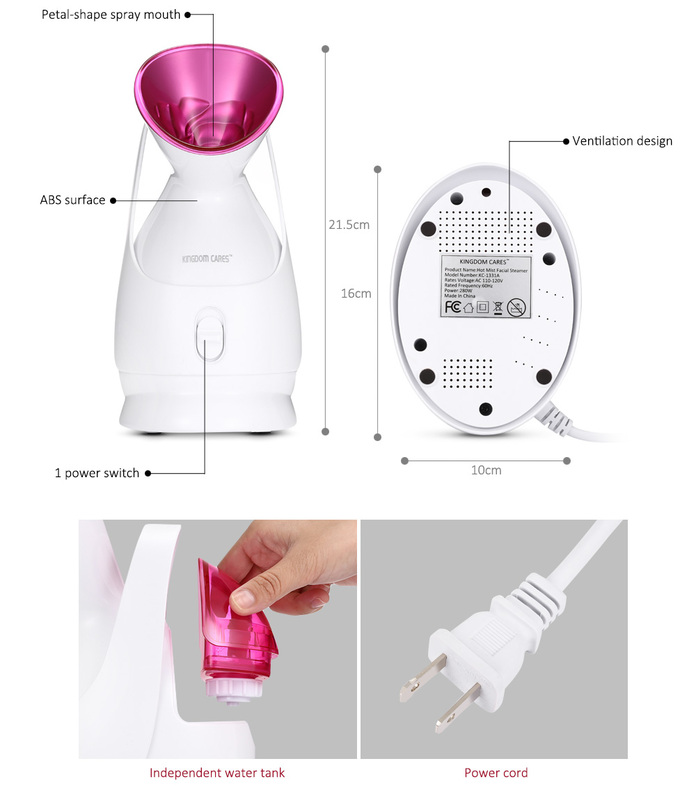 Working principle: takes the PTC ceramic heating element to vaporize water and product a visibly strong steam instantly, massage the face by high-temperature steam to promote blood circulation, thereby solve problems of your skin.